﻿ what to read when you’re pregnant. what to read when you’re pregnant. When my cousin who lives in France found out that I was pregnant, she sent me two very long emails full of advice. Everyone knows that with pregnancy comes a deluge of both unsolicited advice and horror stories. But I was grateful to receive her emails because all of the advice was written down. Usually advice comes during a conversation, and it’s pretty much forgotten as soon as it’s given. How can I be expected to remember the lists and lists and lists of “crucial” advice that they’re giving me if it’s not written down? So I have only these emails from my cousin that I can refer back to as I get ready for the baby. I would be interested to know if any of you have tried out these books. What did you think? What are other baby books that you would recommend? << Cool Mint Body Wash- Pamper Yourself This Summer. I love healthy sleep habits! It is my bible! Because of that book, my kids sleep enough for me to work. We’re an “On Becoming Baby Wise” family. It was perfect for us–our personalities, our baby’s temperment, etc. Beyond the Rainbow Bridge by Barbara J. Patterson. 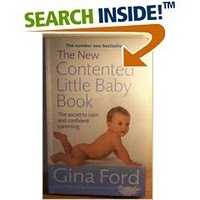 I so wish I had this book when my children were babies! I recommend Baby 411 with all my heart. It’s an amazing book. Baby 411 is like a user’s manual on children. If you even think you will be the kind of parent who might want to rush your child to the ER, it’s worth picking up Baby 411. The book is written by a pediatrician and gives you actual guidelines on what’s normal: when to call the doctor, when to go to the ER, and when to just watch the issue; it’s clear, no nonsense, and smart. My other recommendation is a book that you need to read before you have the baby: The Nursing Mother’s Companion Guide. 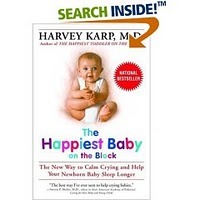 I can’t stress to you how much it will help you to read the book before baby arrives. You may be one of the lucky ones who has an easy time nursing, but take it from me, it’s far easier to know what to expect beforehand instead of trying to correct problems afterwards. There are lots of things that can go wrong in the very beginning, and if you can head them off, you will have a better chance of succeeding. The nursing mother’s companion is amazing. It’s like little at home lactation consultant without all the guilt. 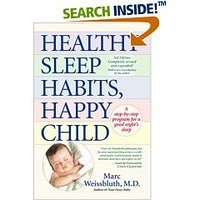 We also are followers of ‘healthy sleep habits’ and will be investing in a copy of ‘colic solved’ at some point. Our hospital required that we watch the “happiest baby on the block” video on how to sooth a crying baby before we checked out and it was invaluable as a first-time parent.